A-SeNS is a European Space Agency (ESA) funded project that aims to demonstrate the capture of environmental data by satellite (see image below). 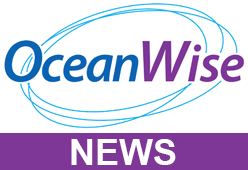 The project extends OceanWise’s Environmental Data Sharing and Publishing capability by enabling data captured by monitoring stations and managed in Port-Log to be transmitted via an AIS transceiver. The satellites are operated by exactEarth Europe who is leading the project. The project involves adding new software code to OceanWise’s Smart Telemetry Unit, thus saving space and power in a fully integrated system. The code packages the data according the International Maritime Organisation’s (IMO) TideMet specification and allows the data to be received locally by vessels as well as by the exactEarth satellites. The data can then be shared more widely for navigation, survey and other maritime operations.